Food and travel are a perfect combination, by sampling the local cuisine, you also get to taste a country’s history and rich culture. Albeit my husband’s non-adventurous tastebuds, he willingly gave in to my demand, food tripping Hong Kong’s cuisine. 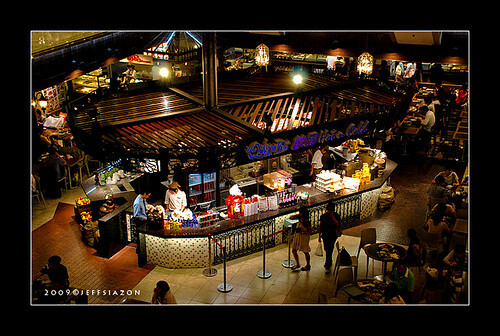 Some restaurants are not authentic Chinese but these are the food places recommended by other HK travellers. Aside from Disneyland, Hong Kong has plenty of tourist attractions to keep you on your toes all day long. These tourist attractions are accessible because of Hong Kong’s very efficient transportation system. You don’t need to join a group tour, just grab maps and brochures at the airport and follow the instructions on how to go there. 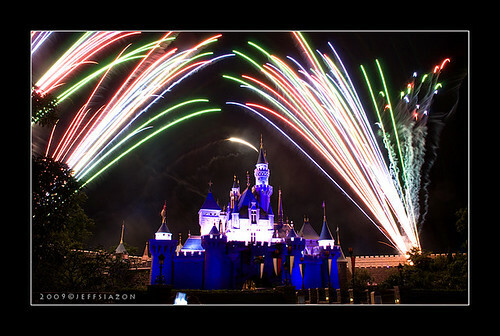 On our day 1 of our Hong Kong-Macau vacation, we headed to Hong Kong Disneyland despite the jetlag and lacking hours of sleep. We arrived in Hong Kong at 7:40 AM, went straight to our guesthouse in Tsim Sha Tsui via the Airport Bus and grabbed our breakfast at Yoshinoya. 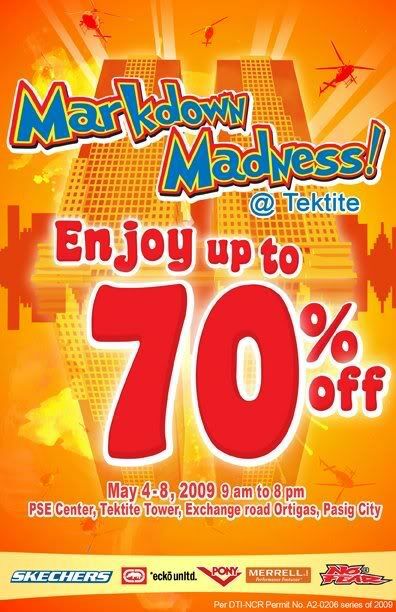 Enjoy up to 70% Off on Skechers, Ecko Unltd., Merrell, Pony and No Fear on May 4-8 at Tektite! I’m ready for my flight in Hongkong! Itinerary (check), traveling essentials (check), cameras and batteries (check), PLENTY of alcohol (check, a must especially with the swine flu scare). Part of my to-do-list is activate international roaming of my Globe and Prepaid sim cards so that I won’t miss important messages while I’m away. Dial *131* + country code + area code (or operator code) + phone number + # sign. e.g. *131*6327301000# if landline or *131*639178000000# if mobile and press SEND. Use the International Number format when sending a message to someone: “+” + country code + mobile access number + mobile number. Dial *123*(Prepaid Call Card Number and PIN)# and press send. There is no space between the Prepaid Call Card Number and PIN. Press SEND. Call the 24 hour Globe roaming support hotline at *131*6327301212# then press “CALL”. Corresponding charges apply for the call if you use your Globe handyphone. Wait for your phone to ring (do not use your phone while waiting for the call back service). Answer the call. You will hear a ringing tone at the end of the line. Wait for the destination number to pick up. Type “?1515” and send to 214. 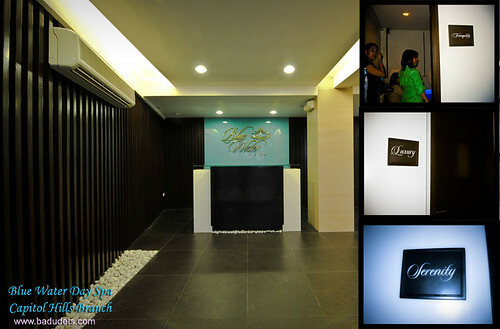 A “spa retreat”, that’s what I want to call the experience when you have your massage at Blue Water Day Spa’s Capitol Hills branch. One doesn’t have to go for a 2-hour drive to Tagaytay just to “escape” and relax from the stress of living in the city. Just visiting the Capitol Hills branch will bring you to a different atmosphere, a relaxing retreat. You’ll see greens provided by the golf course nearby and fresh breeze because of the strategic elevated location of the spa. Watching the sunset is another relaxing experience aside from having a spa.